HomeHow Do I Get (PMP)® Certified? PMO, PMP, CAPM…the acronyms can be overwhelming! 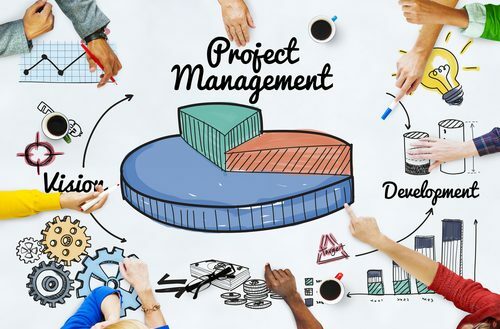 But if you’re interested in having your projects completed on time and under budget, with minimal stress, it’s worth it to look into the nuts and bolts of project management. Getting certified means you increase your earning and hiring potential; tackle more challenging projects; and provide more value to your organization. Businesses with PMP certified employees complete more projects meeting goals of time, budget, and quality. There’s many more types of project management certification, but PMP and CAPM are the most common and most likely to be useful to you and your organization. There’s two routes you can take to be eligible to take the PMP exam. What’s that 35 hours for formal training? That’s what we can offer you! We run bootcamps that give you the entire 35 hours in just two weekends. We offer them frequently in Calgary, Red Deer, and Edmonton, to be near your place of work! lan for achieving the professional development units you’ll need to maintain the certification you’ve successfully achieved.